Tarang is the only ensemble of its kind in the world. Bringing together a unique combination of musicians each year, the ensemble is both an intensive artists’ development programme, and a fascinating collective of musicians. Milapfest produces Tarang showcases and tour performances throughout the year, with annual concerts in Manchester, London and Liverpool, and specially themed concert tours. All of our music is written for Tarang, with arrangements and new works taught by master composers or musicians at special workshops or our Summer Retreat during Music India. The story of Tarang is of fantastic performances, outstanding individual talent and the growth of members from young students into fully fledged performers. It is one of the most important steps in the career pathway of a young musician, and also a dynamic ensemble of maestros in the making. 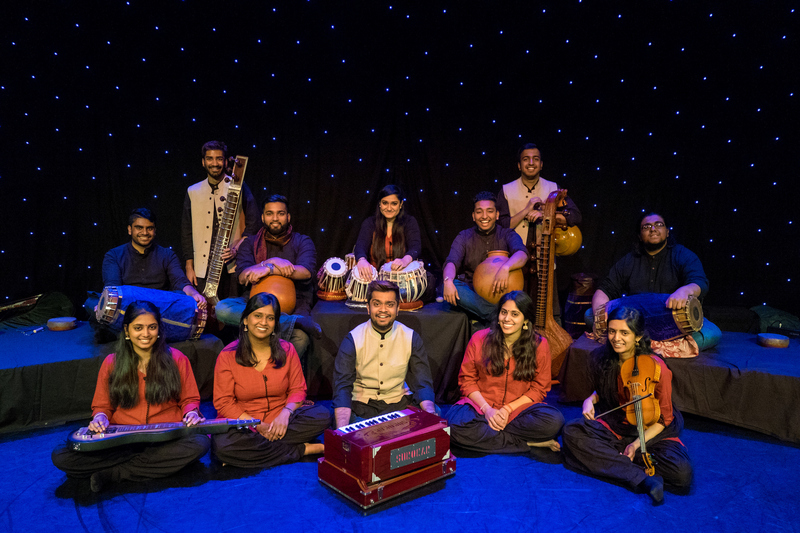 The current incarnation of Tarang features 13 of the best young musicians from across the country united by the vision of reinventing classical Indian music. For information on how they are doing this, please visit here or to learn more about the current members, visit here.